Winter crochet projects are the best. The art of crocheting comes in handy when the wind starts blowing through our neighborhood — it is the first sign that cold weather is coming. 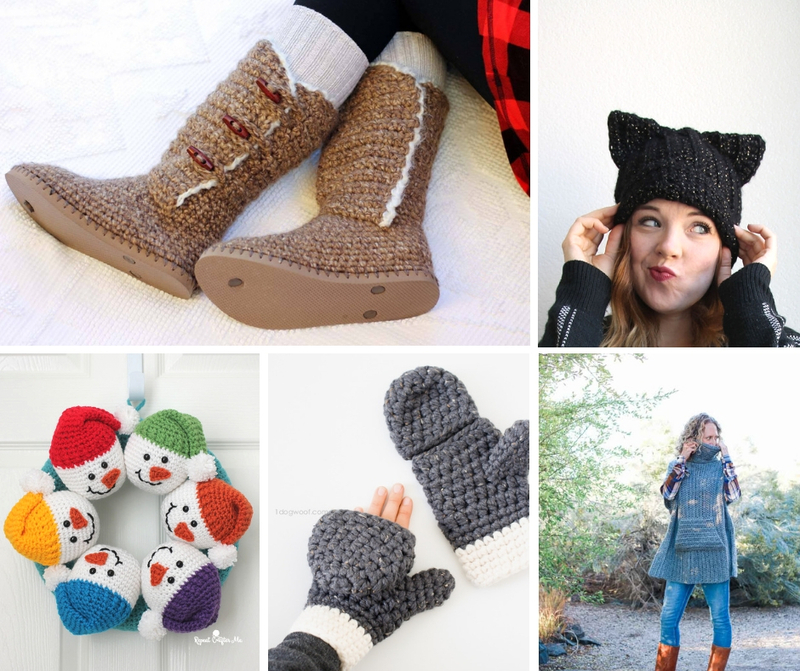 Not only do crochet projects make great gifts, but they also offer the functionality of warmth throughout the winter season. The project choices are endless & there is always someone else in need of the warmth your homemade gift supplies. 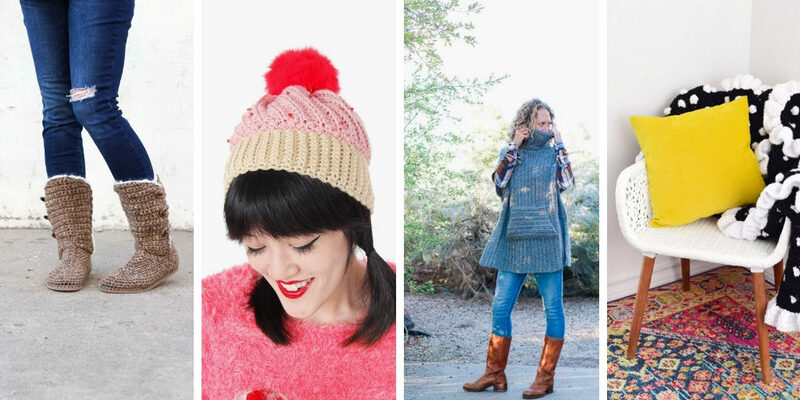 Whether you are a beginner who is just learning how to crochet or if you have crocheted your entire life, feel adventurous to try a new pattern this holiday season! 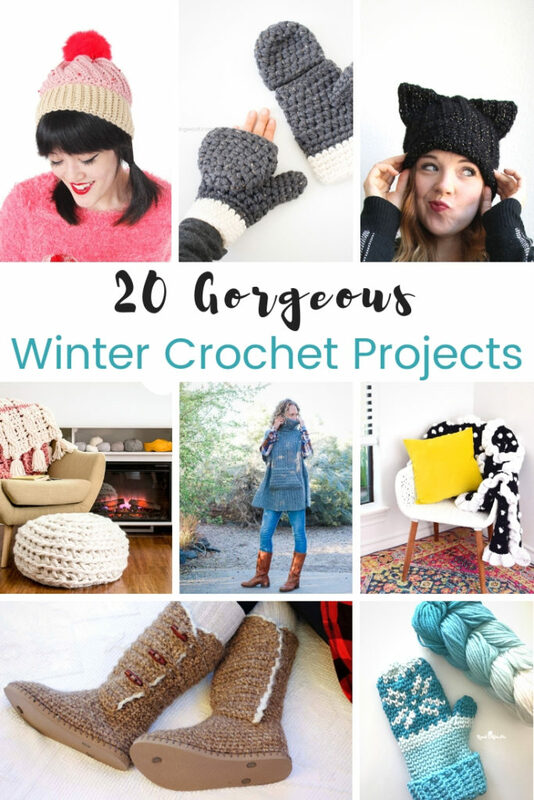 You can make a meaningful homemade piece for anyone on your gift list from one of these 20 gorgeous winter crochet projects! I bookmark tons of patterns through the year because they make me thing of certain people in my life. All 3 of my kids, my husband, and my mother all have winter birthdays. Add that to the holiday season, and I am ALWAYS looking for crochet ideas to make for my family. My husband has grown a beard he is truly proud of, his face will never be cold but he needed a scarf to keep his neck warm. I used the simple scarf crochet pattern in his favorite colors that is specifically tailored to men. My mother will be receiving a beautifully crocheted poncho that she can throw on with a pair of jeans or leggings. Of course all three of my girls will be receiving a pair of crocheted mittens, who has time for cold hands?! I will be making my 18 year old a slouch hat that resembles a black cat while my two younger daughters will be receiving their very own cupcake hats (of course their mittens will be a matching color)! As you can tell, I will be very busy as I prepare for holidays and birthdays this year. I personally love being able to crochet a variety of handmade gifts as presents. There is something about crocheting that is relaxing and puts me at ease. I often take my supplies with me & work on the go. The carpool lines at school and the waiting rooms for doctor appointments are two of the places I am most productive! It’s a fabulous hobby that can fit into anyone’s schedule. Have fun while you are creating your pieces, this list has such a wonderful variety of patterns. 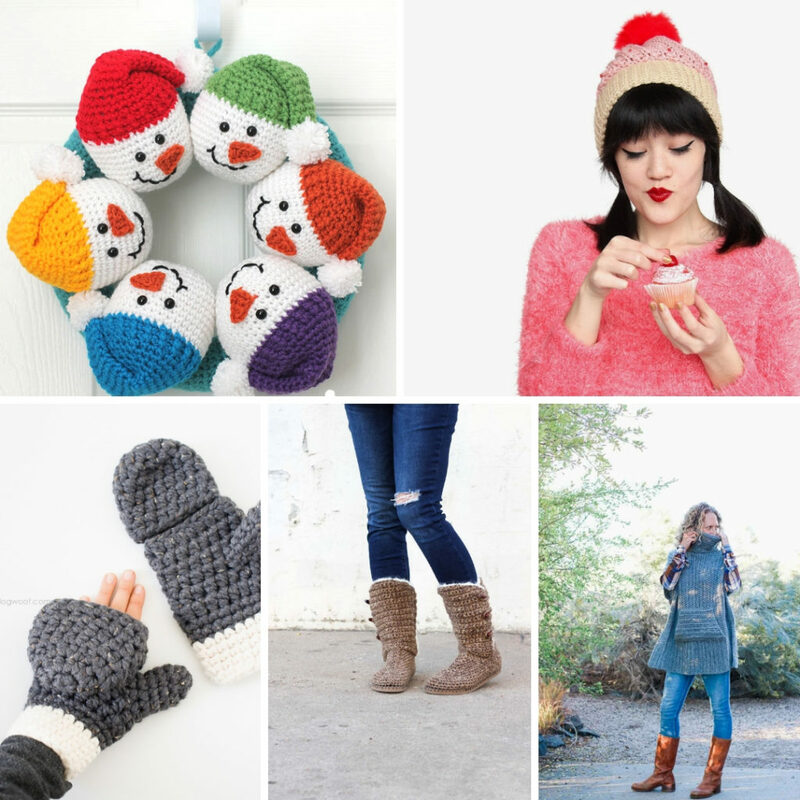 They are all easy to follow & have step by step directions to create the perfect gift for anyone on your list!